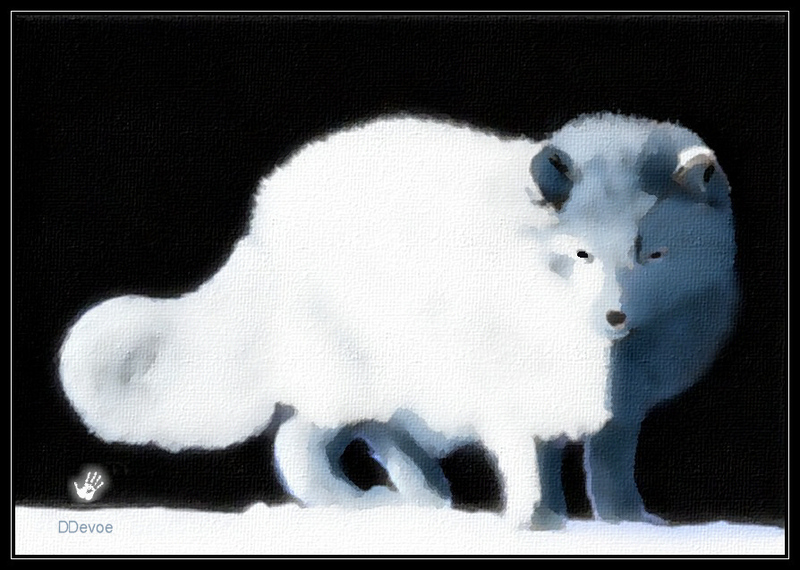 The Arctic Fox is a native to the Arctic and is coomonly found on the tundra. During the winter the foxes are known to trail after polar bears living off the scraps of their kills. Adapted for cold the fox has deep, thick fur, a counter-current heat exchange system in the blood circulation of its paws to retain heat and ample body fat. The fox has a low surface area to volume ratio, as evidenced by its generally rounded body shape, short muzzle and legs, and short, thick ears. Since less of its surface area is exposed to the Arctic cold, less heat escapes the body. Its furry paws allow it to walk on ice in search of food. The Arctic Fox has such keen hearing that it can precisely locate the position of prey under the snow. When it finds prey, it pounces and punches through the snow to catch its victim. Its fur changes color with the seasons: in the winter it is white to blend in with snow, while in the summer months it changes to brown.